Last week The Scots Hotel Tiberias had 1065 viewers and 20 bookings. 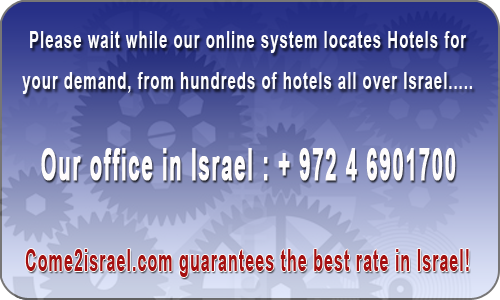 The Scots Hotel is located on the shores of the Sea of Galilee, overlooking the Golan Heights. An atmosphere of calmness, quiet and tranquility; combined with history and mystery wrapped expanses; as well as service of the highest level - turn any vacation at the Scots Hotel into a perfect experience, unique and exceptional, surpassing anything you have ever known.